Love the feel of soft powdery sand in between your toes and warm sun on your back, but want more than just a brief fling with it? 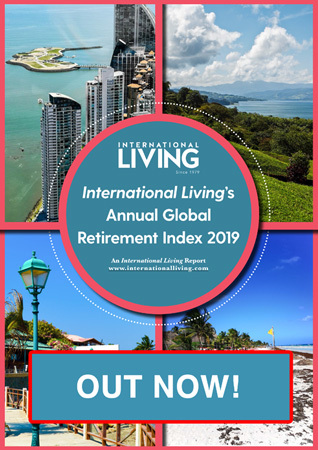 Your perfect full-time or part-time retirement could be found in some of the most stunningly beautiful locations the world has to offer. 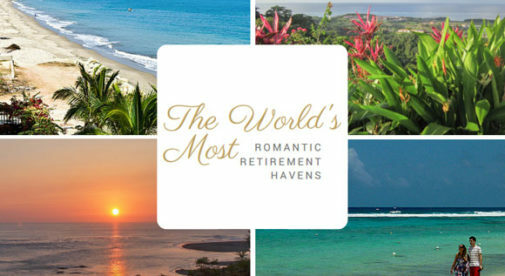 Proving that romance can be eternal and not just for Valentine’s Day, we explore retirement destinations around the world that are perfect for the romantics at heart. So, if you are looking for a retirement that comes with walks on the beach, romantic sunsets, and feels like your own private paradise, read on. Spanning 80 miles along the east coast of the Yucatan Peninsula , nature has provided a stretch of perfect, palm-infused, sugary sand, bathed by the translucent, warm, turquoise-green waters of the Caribbean Sea. Many couples have found and nurtured romance along these shores. But beyond the obvious attraction of the beach, the Riviera Maya offers a Caribbean lifestyle that begs to be shared with your lover. Walking hand in hand, along a moonlit, Caribbean beach or greeting the arriving day with powdery white sand between your toes are experiences not just for honeymooners. If you, and the love of your life, lived along Mexico’s famed Riviera Maya, falling asleep to the gentle sound of the surf, kissing the shore, could be a nightly occurrence. The Riviera Maya is a coastal region that begins at Cancun on the north and reaches south, through Puerto Morelos, Playa del Carmen, Akumal and Tulum. Access, to and from is easy, via Cancun’s modern International Airport and the direct flight takes just under two hours from Florida or Texas. The area’s tropical weather, with average temps in the mid-80s F, and humidity that ranges from moderate to high, demands that clothing be light, airy and minimal. During summer months, swim suits and flip-flops are normal attire for nearly all functions. When it’s time for an evening out, it’s hard to beat the Riviera Maya. 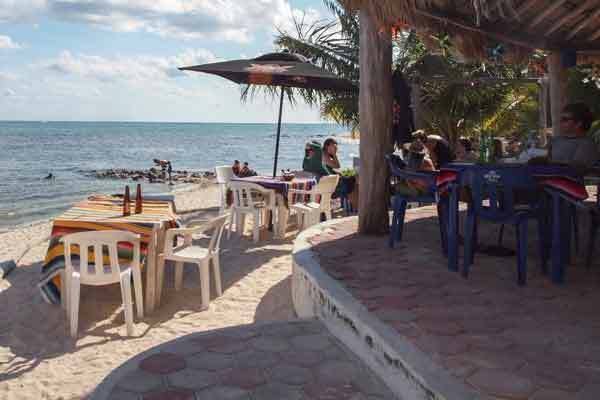 Cancun, alone, has over 750 restaurants and dozens of night clubs and entertainment venues. Here you can enjoy a romantic Italian dinner at La Dolce Vita in the centro area of Cancun. Or for a totally unexpected and romantic adventure, check out The Black Hole. Total darkness envelopes you and white gloves, attached to unseen humans, drift through the darkness delivering plate after plate of surprises. Playa del Carmen’s famed 5th Avenue provides romantic bistros and boutique hotels as well as ample jewelry stores, just in case jewels are in order. A life along the Riviera Maya offers all the conveniences in one of the world’s most romantic settings while permitting access to the treasures of the Maya world throughout the Yucatan. Explore hidden cenotes (water-filled caves) or climb ancient pyramids. A five-hour drive from Panama City, Panama’s sultry capital, is Pedasi, a gem of a village in Azuero. Banana trees, sugar cane, and countless varieties of palms line the flat horizon, a stark contrast from the capital’s soaring skyline of chrome and glass. There are no high-rises here in Pedasi. Instead you’ll see cottages with clay tile roofs, and even the odd casa quincha—cute little homes built using local clay. Most houses have their “living rooms” on open terraces. Life here is lived in the fresh ocean air and the English-speaking community here is also one of the most welcoming, with residents who are generous with their time, offering help and advice to newcomers. Just outside the village, in the greater Pedasi region, you’ll find a string of beaches. On some, local fishermen bring in their catch of the day, for less than $2 a pound, they’ll sell you red snapper, black grouper, amberjack, fresh from the sea. Other beaches offer opportunities to swim and splash. For the more adventurous, there’s spearfishing or paddleboarding. Here the Pacific is warm and welcoming. Venao is a popular surf beach, here the waters are crystal clear, and sand a soft, smooth bronze. A handful of lodges and hostels line the coast with no huge resorts or loud bars in sight. Outside of the odd festival or surf competition, it’s a quiet, uncrowded place. Evening meals can be enjoyed on the beach. The soft ocean breeze and the sound of the waves make for the perfect ambiance…better than any big-city restaurant. Probably one of the most common romantic fantasies is to be stranded on a desert island alone with your paramour. Nothing but sun, surf, and sand as the two of you stroll on the beach, enjoying fresh seafood and tropical fruits, and watching beautiful sunsets. Fortunately, Ecuador offers you plenty of viable alternatives where you can live out that romantic lifestyle in the real world. There are miles of beautiful beaches where you can at least pretend the rest of the world doesn’t exist. Take for examples the beaches of San José, the small coastal village just a few miles north of Montañita and Olón. 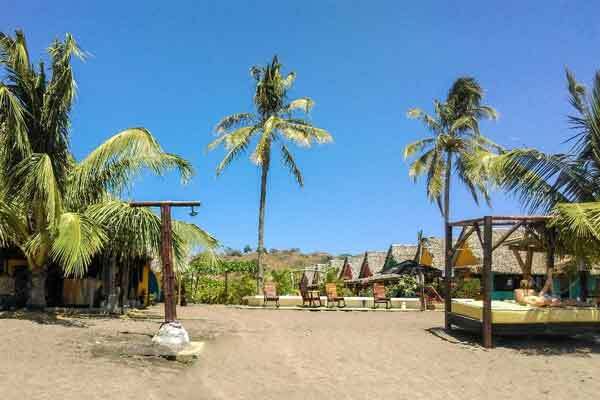 There you enjoy wonderful seclusion, even during high season, on miles of flat, sandy beaches. There are properties sitting right on the beach, set down from the road so that all you can hear are the waves and the seabirds. The illusion of being alone on a desert island is complete. If you get tired of the peace and quiet, it just takes a few minutes to drive, cab or bus to Olón to meet up with the growing expat community there, and maybe do some shopping. Or if you prefer something a bit more lively, a couple of more minutes takes you to the always-active party atmosphere of Montañita. There you can choose from a wide variety of cuisines at the restaurants, enjoy the bar scene, or even learn to surf. 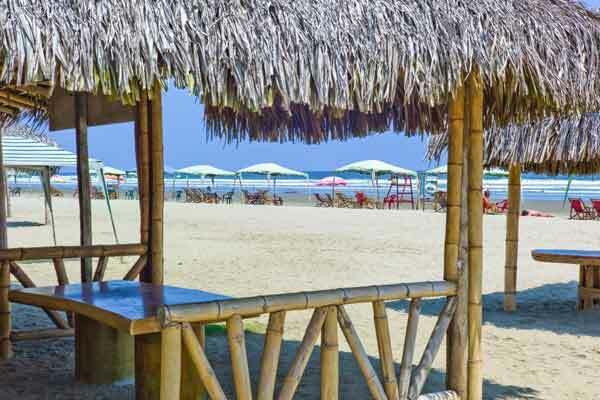 So, if your idea of romance includes enjoying beautiful sunsets, fresh seafood, warm breezes, and the sound of the waves crashing on a secluded beach, take a look at the small coastal villages of Ecuador like San José. Your romantic fantasy could become a reality. The fragrance of lemon and orange trees fills the air in enchanting Silves, a former Moorish capital, in the southwest region of Portugal. High atop the town’s hill sits the best-preserved castle in the Algarve, boasting eleven towers. Perched nearby is the cathedral, built on the foundation of a former mosque, and considered the most important Gothic monument in all the region. 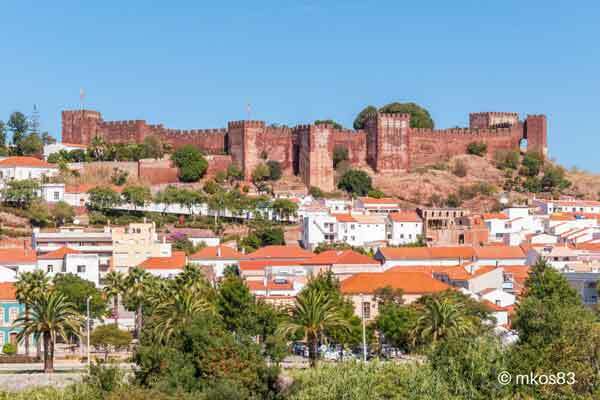 At one time, Silves was key city because of its location on the Arade River, which afforded inland access. Below the fortress ramparts lies a network of narrow streets, and a riverfront filled with shops, cafés, and restaurants. If you want to indulge in something less passive you can pack your swimsuit and head to Slide and Splash in Lagoa, an hour and a half away. Or do an overnight stay in Guia and treat yourselves to a morning at the mall, Algarve Shopping, and later take in a dolphin or sea lion show at the oceanarium. When you return to Silves, book a table for you and your loved one on the covered garden terrace at O Barradas, located in a converted country farmhouse. Order a fine bottle of vinho tinto (red wine) from the restaurant’s extensive wine cellar and enjoy spicy prawns ($9.35), fresh sheep cheese salad with tomato, pepper, olives, and balsamic vinegar ($6.85), or really splash out an treat yourself to Mirandesa steak, free roaming veal prepared with garlic, wine and Tarragon, and served with homemade fig chutney ($28). Then congratulate yourselves on living an even lovelier life than you ever dreamed possible. There is no question about it; Costa Rica is a paradise for romance. Opportunities abound for candlelight dinners or tropical cocktails on the beach. Costa Ballena in particular, is an up-and-coming area that makes for a perfect romantic retirement haven. Stretching 22 miles of seashore in Costa Rica’s south Pacific, it is made up of three towns: Dominical, and Ojochal, with Uvita between them. Each pueblo has a slightly different feel, but what they share in common is a magnificent coastline with all but deserted beaches. A new, wide highway easily connects the area, with the ocean at your fingertips to one side and the verdant jungle mountains rising quickly on the other. 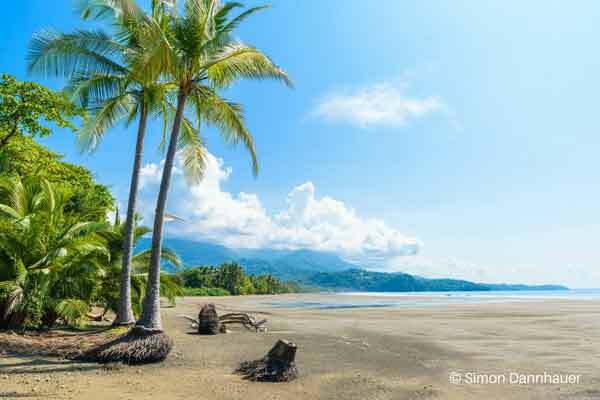 The Marino Ballena National Park calls the area home, as do hundreds of whales that can be seen easily from the beach. Whale watching on the beach—how idyllic is that? Punta Uvita is commonly called “the whale tail,” because this naturally occurring sandbar is shaped just like a whale’s hinder parts. The Nauyaca Waterfalls is one of the country’s most arresting cascades. Made of two large cataracts, the lower falls have a large swimming hole, and the upper falls offer an impressive cliff as the perfect picnic spot. To top it all off, the hidden jewel of Ojochal dishes up some of the finest international restaurants anywhere along the Pacific coast.